The view from Kotnov to the north-west offers charming scenery. Down there deep among trees glitters the river Lužnice, whose water sometimes hurries, sometimes dawdles towards the town of Bechyne and then further down to the confluence with the Vltava (Moldau). If you look up, your eye is caught by an impressive structure on the top of a steep slope above the river. 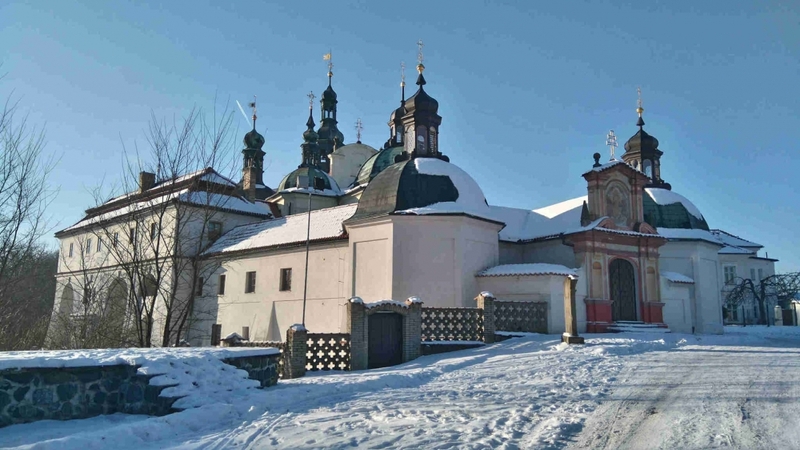 It is the pilgrimage church of Klokoty. The construction started in the year 1700 and took about thirty years. 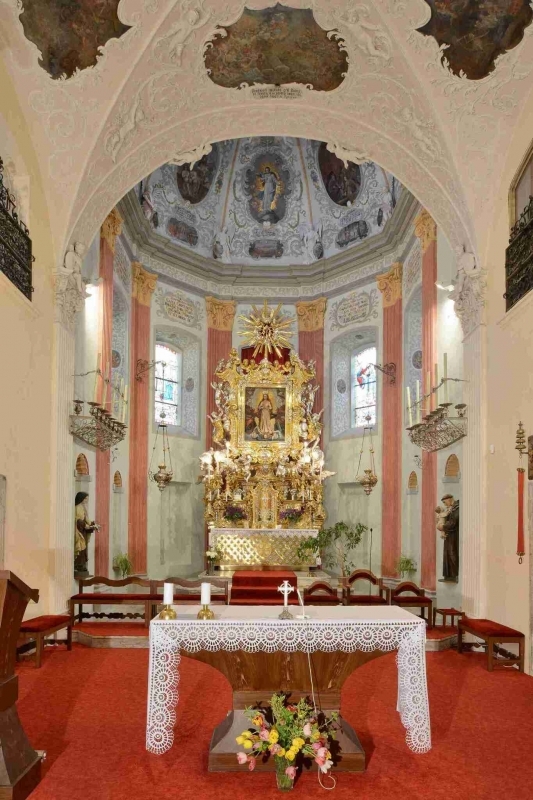 Rich donors, members of famous noble and merchant families, gave their money to support the church whose design was probably inspired by the work of Jan Santini, a most talented contemporary architect. The beauty of the valuable Baroque structure is emphasised by its perfect location in the surrounding countryside. The church itself was finished in 1714. 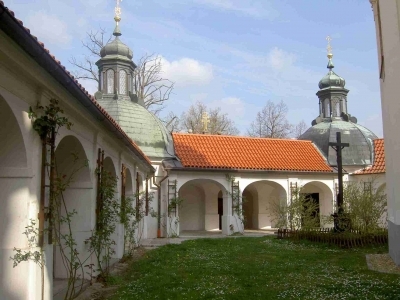 During the following years cloisters and chapels were added, thus creating a complex shaped like a double cross. 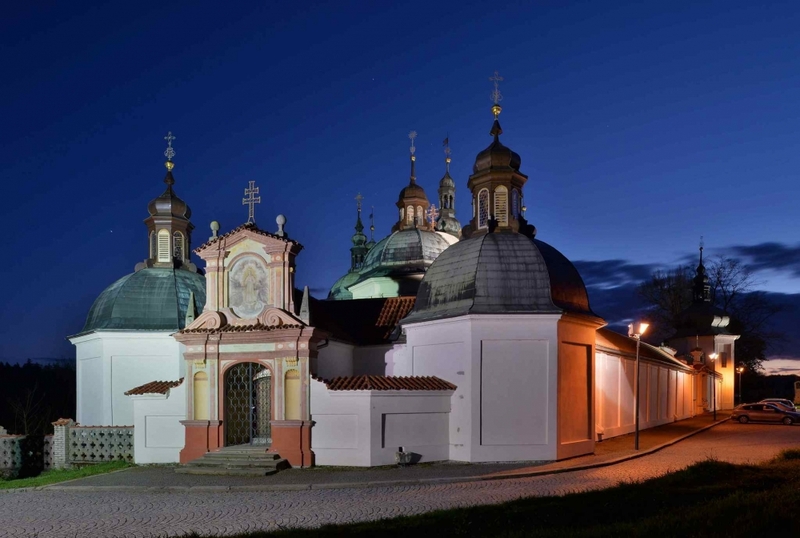 The church rates among the most valuable cultural monuments in the region and would bear comparison with the greatest architectural treasures of the European Baroque period. Local people like to hang out in the area. One can get there from Kotnov through Holecek Park. 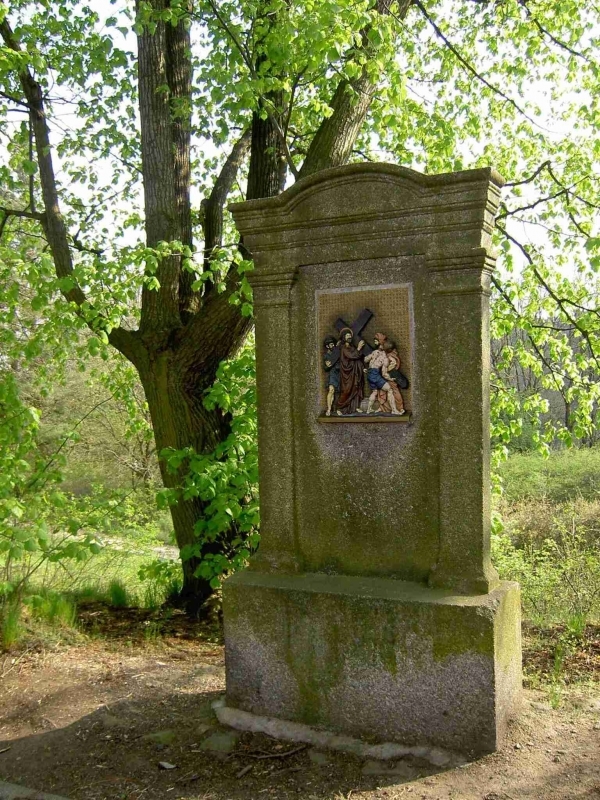 The park is named after the famous Czech writer and translator, Josef Holeček (1853 - 1929) who studied in Tabor. 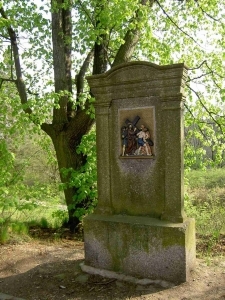 After descending to the valley, one must go up the steep hill along the Way of the Cross . 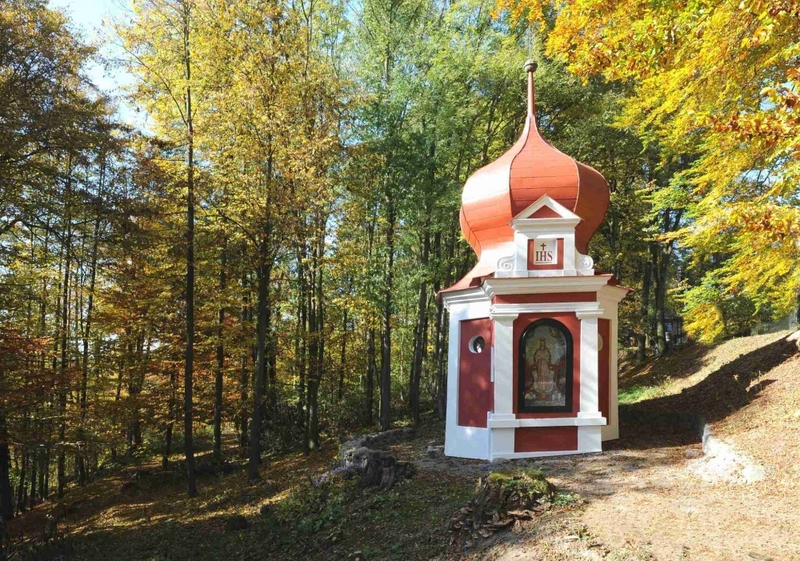 The pilgrimage church has still served its original purpose since a large religious gathering is organized there every summer. The church is open every weekend from May to October: Saturday from 10 am to 5 pm and Sunday from 11 am to 5 pm. Travel guide for visitors is available. Group tours can be ordered at the following e-mail or telephone.